Contrary to social media backlash and snarky headlines across mainstream news outlets, the Starbucks ‘Race Together’ campaign was never simply about baristas guiding discussions on racial inequality or white privilege in America — all while prepping your Caramel Mocha Frappuccino. If that’s what you may have gathered, it’s time to set the record straight. …an initiative from Starbucks and USA Today to stimulate conversation, compassion and action around race in America. Race Together is not a solution, but it is an opportunity to begin to re-examine how we can create a more empathetic and inclusive society — one conversation at a time. 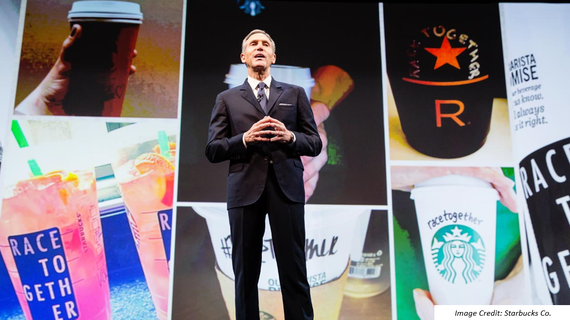 The initiative was developed in response to racially-charged events unfolding across the country and direct feedback from their employee “partners” across race and class over the past three months, with more than 2,000 Starbucks team members discussing racial issues at open forums in Oakland, Los Angeles, St. Louis, New York and Chicago. Race Together activities still in the pipeline include additional forums on race and forthcoming special sections in USA Today over the next year. Starbucks is also committing to hire 10,000 disadvantaged youth over the next three years and opening new stores in communities with large minority populations. As a development consultant for community-based programs on education, I was enthusiastically interested in this initiative when I caught wind of it just before it launched. What would happen when I went for my own Grande Pike later that day? Would I actually get a cup with Race Together written on it like the ones media outlets were already publicizing with ridicule? Unsurprisingly, execution of this phase (stickers on the cup) of the campaign hadn’t been “perfected” within those first three days. The baristas working the counter that evening actually hadn’t heard of Race Together when I asked about it, and the young lady who handed me my coffee also added that they weren’t exactly sure who the CEO of Starbucks was either. I was still hopeful. One of the “giants” in corporate America was finally making what looked to be a genuine stand to encourage dialogue on race beyond its own company and into the public. Overexaggerations and jokes about “burdened” baristas had virtually hijacked details on the campaign with fundamental communication on race getting overshadowed along the way. 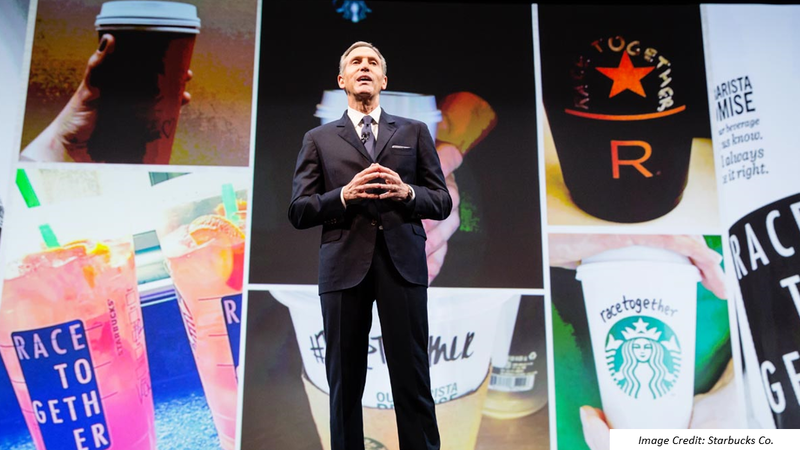 I will say it’s a bit of a red herring to go from a logoed sticker on a coffee cup meant to signify a company’s support of racial dialogue, to publicizing that the Starbucks campaign was attempting to solve racism in America through its “ill-equipped” frontline service workers. Race Together: Continue picking it apart, collectively make it stronger, or simply look away? A huge door is now open through the Race Together campaign especially given the reach both Starbucks and USA Today have nationwide. And like the actual baristas, our engagement in it moving forward is also entirely optional. Rather than focusing solely on picking apart a sticker campaign, instead let’s hold Starbucks and USA Today accountable to furthering what they have started here. Social media rants, partial truths and snarky comments have fed swift headlines about the initial stages of ‘Race Together’ as being clumsy and terrible, with the “internet united in despising Starbucks” — Ouch. Okay, while not altogether true, it’s been noted. The people on Twitter who have responded… I don’t think they even realize the luxury of their position. They say ‘I don’t want to have these conversations about race when I’m getting my cappuccino.’ Well, I don’t want to have these conversations about race either, but I have this conversation all the time. I have it when someone says to me, ‘You’re not really black,’ or ‘you speak so well for being black’ or ‘if you’re Latino, you can’t be black.’ Black and Latino people have these conversations all the time. Using Starbucks locations to host conversations about race with community experts and interested citizens would work, and could really open up the conversation. And it’s not too late to do so… So before we write off Race Together as a ‘PR disaster,’ take a closer look at what Schultz has started: engagement among employees and customers on a pressing and difficult social issue; conviction to start a conversation even when their own internal realities are less than perfect; fortitude to go big and leverage all their stores and channels to take on the issue; and courage to not blink but stay the course in the face of controversy. It’s time to move beyond rehashing hypothetical tales of baristas forced to reconcile 400 years of oppression while making your favorite coffee drink during the morning rush. The topic of race deserves more, and there are many advocates and experts across the country — in the fields of race relations, mainstream media, K-12 education and across the internet who have a great deal of constructive input that can make initiatives like Race Together even stronger. 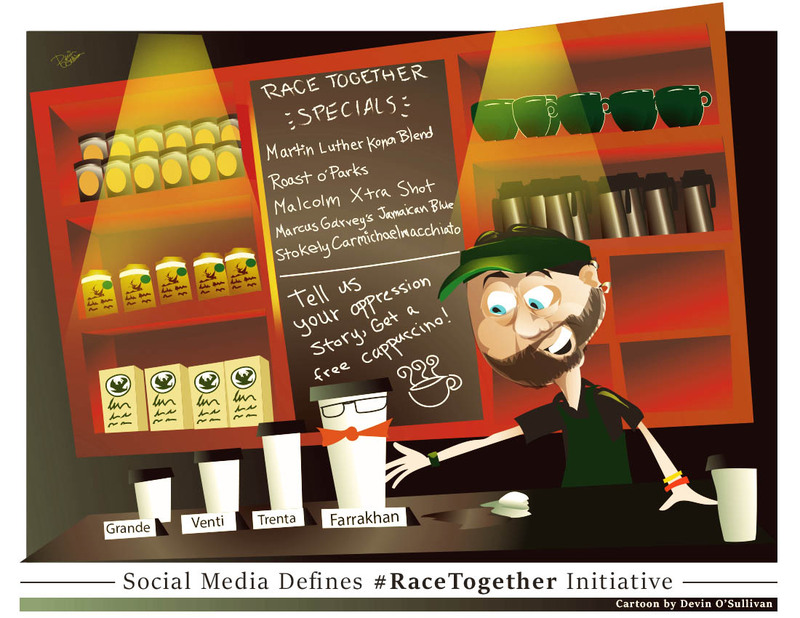 While Starbucks may have stopped writing “Race Together” on their drinks, the #RaceTogether initiative is far from over and the ball is in our court to answer their call to action. So if genuinely engaged, where might you begin?